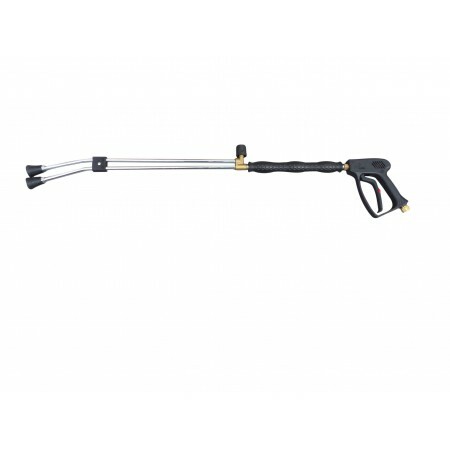 Quality ST1500 wash gun c/w 960mm twin chemical lance , made in Germany. For use when high and low pressures are needed. For example, spraying cleaning agents with low pressure through an injector valve and then cleaning with high pressure. Standard chemical lance with easy adjustment valve to change from high pressure to low pressure chemical spray. Comes complete with 045, 15 deg. high pressure nozzle and brass low pressure chemical nozzle.